The Kumon English Programme is designed to build the critical reading skills that will help your child develop a lifelong love of reading - and a solid foundation for academic success. Daily Reading Worksheets will take about 30 minutes to complete in two sessions a week at Kumon Center, and then another five assignments to be completed at home. Your child will work at his or her own pace, mastering each new reading concept before moving on. 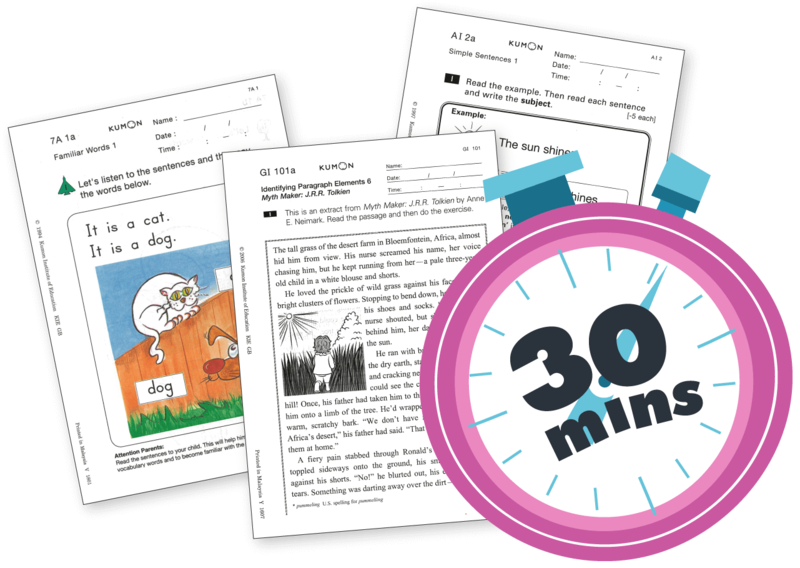 With each worksheet, your child's overall reading and writing skills will advance incrementally. Many Kumon parents ultimately find their children mastering concepts that put them grade levels ahead of their peers. What topics are covered in the KUMON English Programme?